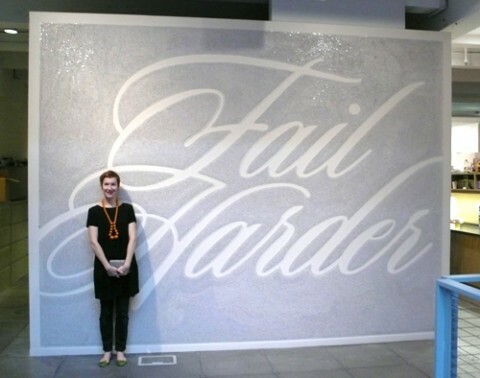 While visiting W+K Portland yesterday, I noticed this magnificent Fail Harder Mural, done by Wieden + Kennedy 12.
wow. i actually was planning on doing something like this for a book cover i’m working on…now I’m wondering if I shouldn’t anymore. but at least I know that it DOES have the potential to look great. really beautiful. Similar story to Sean. I was planning on doing something like this (on a smaller scale) for a poster. Pretty awesome though—I like when studios have something clever built into their workspace. Nice! 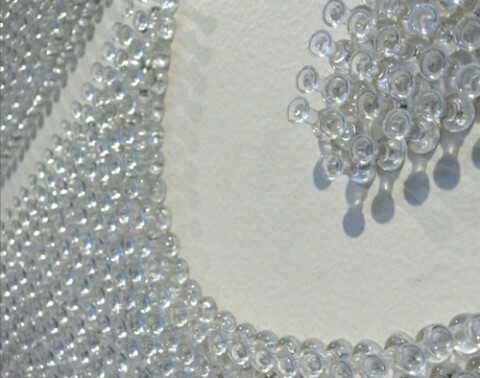 One thing: those are not thumbtacks, they are push pins. Milton Glaser, founder of Push Pin Studios these many years ago, would know the difference! By any chance, do you know some info on the music used? let’s think.. . if you do fail at an agency you’ll probably will get the sack..
great message, great way to send it to millions! what was the tool they used to put in the push pins? It looks like it probably saved their fingers! Makes me feel better about the 92 song lyrics that sucked too badly to be listed on my blog (138 made the cut ). This is wonderfull! good job! This is a “fail” because it’s a success. It doesn’t support the message conceptually. If it was left unfinished, or utilized a medium that gradually fell apart or deconstructed the piece it would be a much more successful and beautiful failure. The tool they are using appears to be an inexpensive screwdriver… the kind that has a magnetic shaft where you can change the bit between flat or Phillips. They just left the bit off. These can be found at dollar stores or at “big box” home improvement centers for a couple of bucks. Great idea, and nice installation. Love it! it speaks so much for ad folk. all my friends, because if like to read it then my contacts will too.